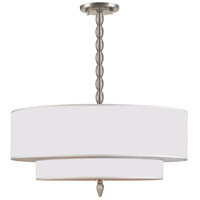 A The Crystorama Lighting Solaris 3 Light Chandelier 9225-OS is rated for dry locations only. 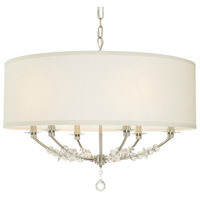 A The Crystorama Lighting Solaris 3 Light Chandelier 9225-OS comes with an 8" downrod and 72" of chain allowing for an adjustable height from about 25"-97". 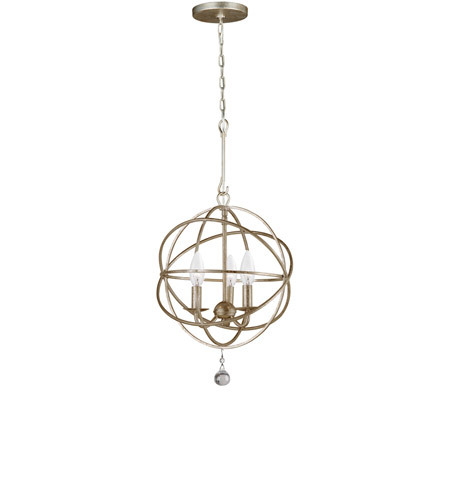 Q I am interested in the solaris 3 light mini chandelier but i need it without the downrod piece so i can attach it closer to the celing is that possible?? 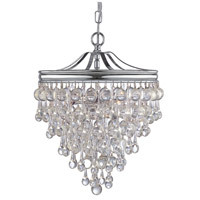 A The Crystorama Solaris 3 Light Chandelier in Olde Silver 9225-OS must be mounted with at least one downrod. 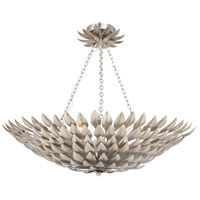 Q Can the down rod piece be removed?  A Yes, the downrod for the Crystorama Solaris 3 Light Chandelier 9225-OS can be removed and then be hung by one length of chain. 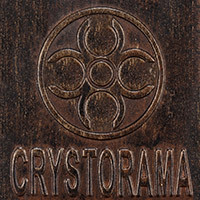 Q Do you have it in bronze? 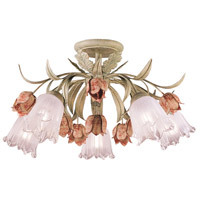 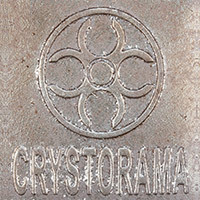 A Yes, the Crystorama Solaris 3 Light Mini Chandelier 9225-OS is available in English Bronze 9225-EB.